The first “The Big Ticket” she bought paid her $25, so she used the proceeds to purchase another. The second purchase is what landed her the top prize of $100,000! 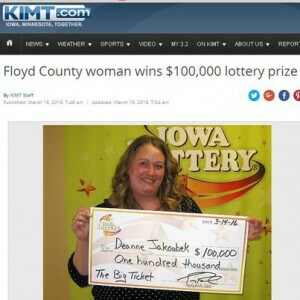 She had the ticket verified before calling her husband with the good news. So unexpected was the win that the couple have yet to decide what to do with the proceeds.